The FINANCIAL -- The Volkswagen brand is to significantly improve its earnings performance in the coming years in order to finance investments in future technologies from its own resources. To this end, the model portfolio is being streamlined and the number of variants reduced. At the same time, productivity at the plants is to be increased and the platform orientation for vehicle production extended. Optimizing material costs is to contribute significantly to achieving the target return – without detracting from product substance. Administration processes will become even leaner. In total, the Volkswagen brand will be investing over €11 billion in emobility, digitalization, autonomous driving and mobility services from2019 to 2023, of which over €9 billion will be spent on Volkswagen’s electrification offensive. The brand currently has two fully-electric cars in its program. This number will increase to around 20 by 2025, with planned production set at over one million units. Work on converting the Zwickau plant to be run exclusively as an electric mobility site is already underway, and in addition the plants in Emden and Hanover will switch to the production of electric vehicles from 2022. Collectively, these three sites will become Europe’s largest e-production network. Two electric vehicle plants are also currently taking shape in Anting and Foshan in China, with production scheduled to commence in 2020. For North America, the brand plans to make a decisionon a production location for electric vehicles soon. With the fully-electric ID. made in Zwickau, where the order process features pre-booking for the first time, Volkswagen is putting a new generation of vehicles on the road that also sets standards in digitalization and connectivity. 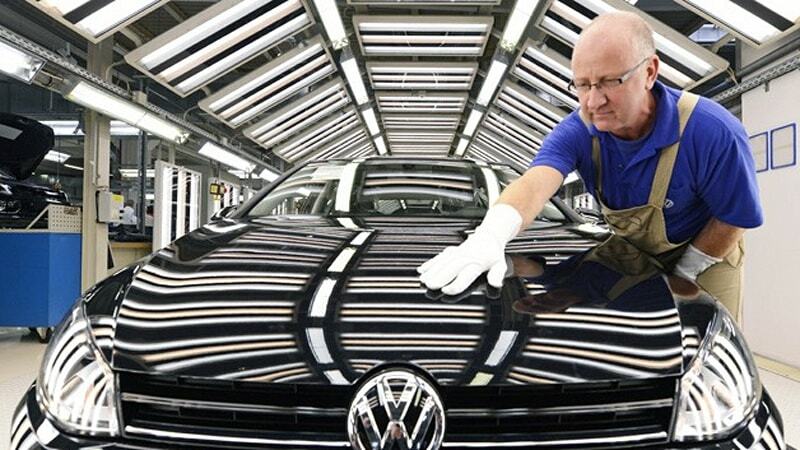 Volkswagen will also be investing strongly in digitalization. The Volkswagen Automotive Cloud developed together with partners lays the groundwork for offering an ever-growing range of digital services in fully connected vehicles. The aim is to create the world’s largest automotive ecosystem. The pact for the future will realize cost savings amounting to more than €2.2 billion by the end of 2018. That means the lion’s share of the planned total savings of €3 billion by 2020 will already have been achieved. Further massive savings are expected from measures such as the strong expansion of the platform model. Currently, approximately 60 percent of the conventional models are based on the Modular Transverse Toolkit (MQB), and this is set to increase to around 80 percent by 2020. In total Volkswagen has already built over 50 million vehicles based on the MQB, and the Group is projecting a similar volume for the coming years. As many as 15 million Group vehicles based on the MEB are to leave the assembly line under the first wave of electric models from 2019.